A Dutch-Chinese consortium has proven that commercial production of efficient IBC solar cells is feasible on short term, by completing a pilot production process in just three months. 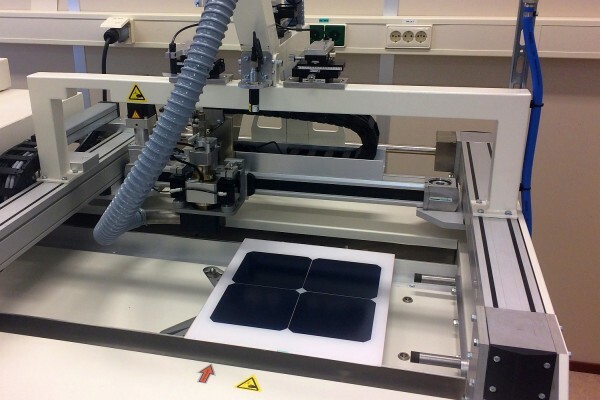 Dutch research center ECN and equipment manufacturer Tempress have developed a new production process for interdigitated back contact (IBC) n-type solar cells with an efficiency of 21.1%. Chinese solar cell manufacturer Yingli produced the first cells based on 6-inch wafers at an industrial pilot line within just three months, illustrating the compatibility of the new production process with mass production. The production process is based on the commercialised Panda process for the low-cost production of conventional n-type solar cells (n-PERT). The process was adapted for IBC-type cells using the screen printing technology for patterning and metallisation. ECN is focusing its research on n-type silicon solar cells as these are potentially more efficient than p-type cells and are less sensitive to degradation and impurities. Additionally, the back contact design of solar cells offers several advantages. They exhibit a higher voltage and deliver a higher current, because of reduced losses via recombination and a larger surface on the sunny side. A combination of IBC technology with n-type solar cells has been shown to reach efficiencies of over 25%. Until recently, the challenge has been the complexity of producing such cells. By producing the cells at Yingli, the consortium has now tackled this challenge. The consortium aims to produce cells that have an efficiency of 22% by the end of 2017. The development and production of commercial modules is expected for 2018. Moreover, the inherent bifacial character of the IBC cells will also allow pursuing the route of truly bifacial module technology.